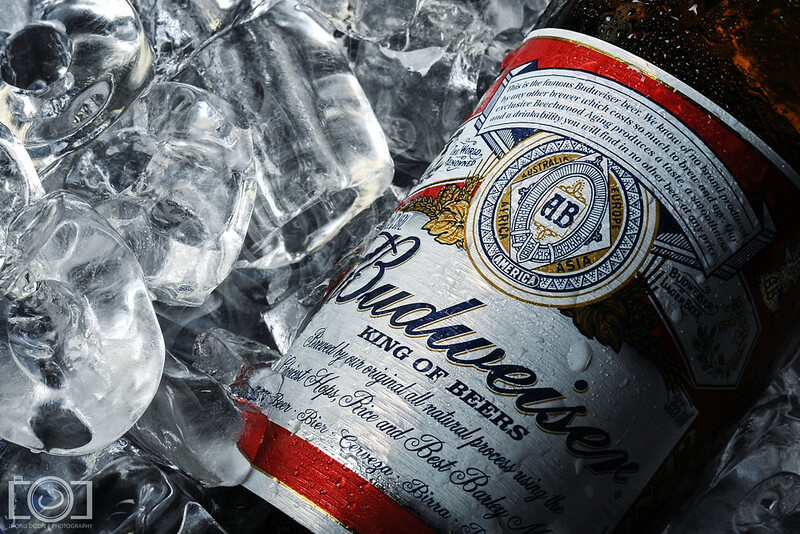 Did you know the popular American beer Budweiser isn’t the original? Or that Anheuser-Busch sort of ripped off the name, or was “inspired” by the name from a delicious Czech beer? If you go to the Czech Republic you will see Budweiser everywhere, except it’s not what you think it is. It’s the actual Budweiser and a really delicious beer. Okay, so we aren’t fans of Budweiser beer back at home. It sort of tastes watered down to us and the only time we drink it is if it’s the only thing available on a hot summer day at a BBQ or concert. But in the Czech Republic, we will drink a Budweiser one after another. So we have two completely different beers from two completely different countries, how did they get the same name and what’s the problem? Budweiser Budvar or Budějovický Budvar origins begin back in the 13th century in the area known as the Kingdom of Bohemia in present day’s Czech Republic. At the time there were both Germans and Czechs in the region both brewing beer known as Budweis, the type of beer named after the area it was made, České Budějovice. A similar example that made sense to us was using the popular type of beer Pilsner, this style of beer was originated in the Czech town of Pilsen. The Bohemian beer became very popular and began exporting and selling in the United States in 1872 only to 1873. It would again start being sold in the U.S. again in 1933 after making an agreement with the U.S. Budweiser that they could only market their Budweiser beer to the North American market, and nowhere else. The Czech beer would be specially marketed as Czechvar in only North America. Anywhere else, the Bohemian Budweiser were the only ones able to market their beer as Budweiser. 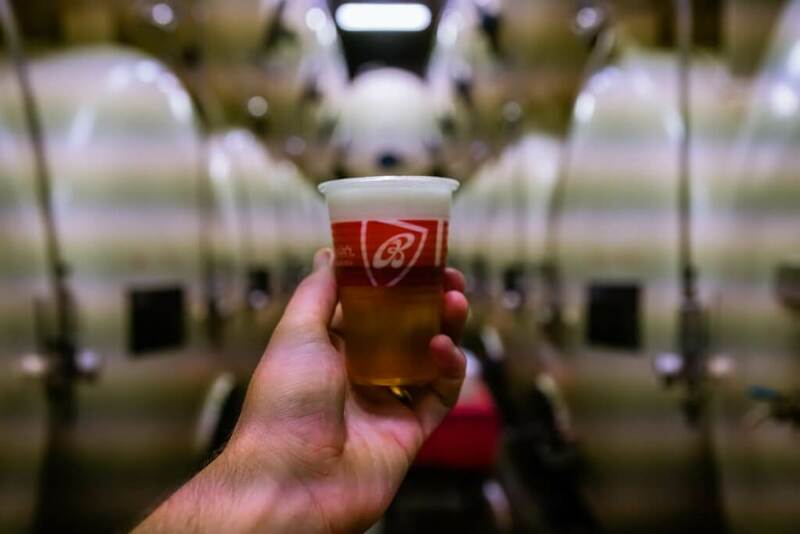 American brewer Anheuser-Busch, in the year 1876 ( only 3 years after the Bohemian Budweiser left the U.S. market) began making a beer which they named “Budweiser.” They claim to have been motivated to brew a beer similar in color, flavor, and quality as the popular Czech beer from Budweis. 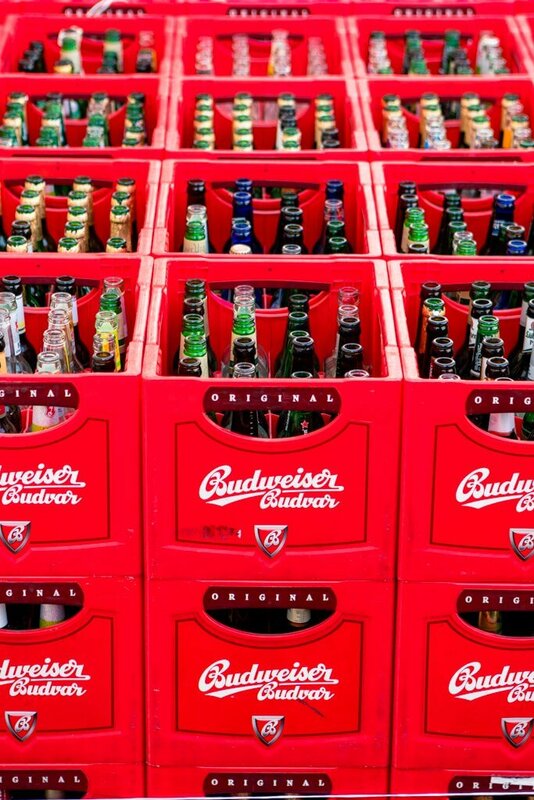 Fast forward to today where the U.S. Budweiser is one of the best selling beers in the United States and is available in over 80 different markets worldwide. However, they too have to sell their Budweiser beer under a different name where the Czech Bohemian beer is also sold. In Germany, they sell their beer as Anheuser-Busch and in Italy as Bud. As you can already see where this is sort of a headache for both companies and it gets really confusing on how to find your favorite beer if it is either Budweiser when going to another country. There has been an ongoing trademark dispute between the two Budweisers for decades. 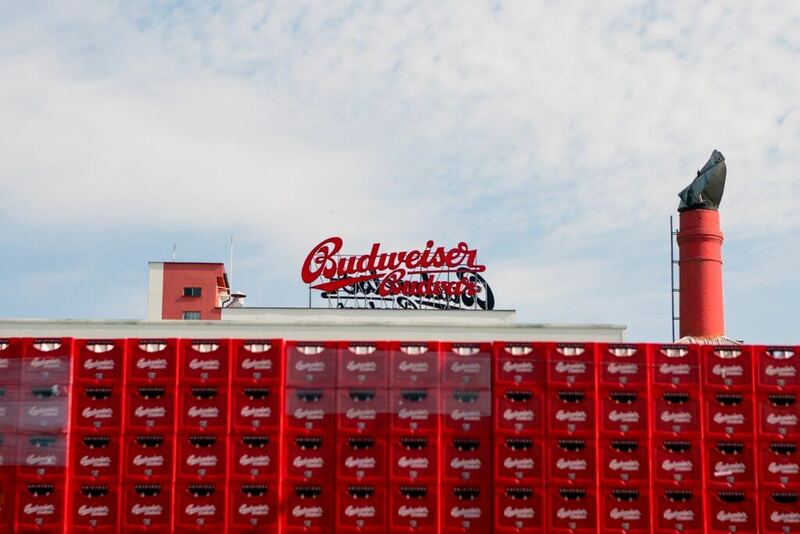 To us, it seems clear that the US Budweiser is in the wrong, but somehow they have been able to keep the fight going. The dispute dates back to 1907 when both breweries agreed that the U.S. Budweiser could only use that name in North America. The Bohemian Budweiser was able to sell to European markets with the Budweiser name. Throughout the years since the two companies will battle over trademarks in different countries. Overall, the Czech Bohemian Budweiser has won a majority of the trademark disputes, but the battle continues and it doesn’t seem like either is going to back down anytime soon. 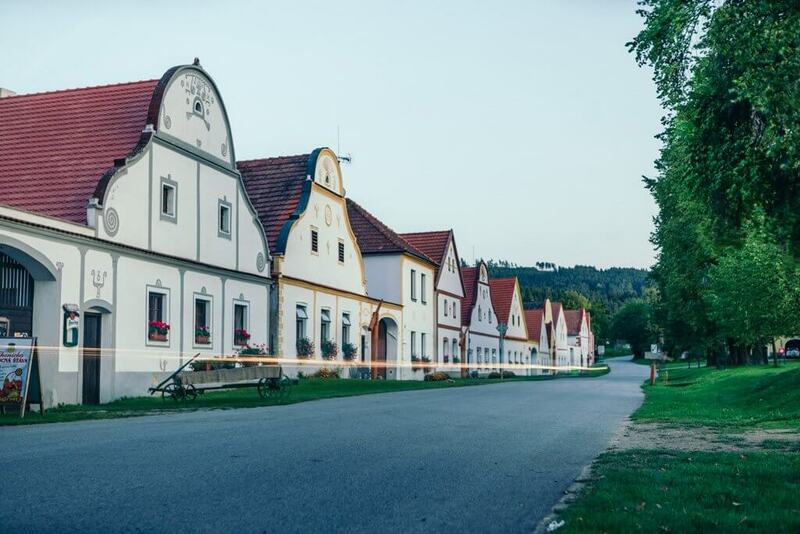 So now that you have a bit of the background, and what intrigued us most about checking out the Brewery in České Budějovice, we will give you an inside scoop on the tour at Budějovický Budvar. This brewery has gained a lot of popularity over the years, we like to think it has to do with the name, but really any European visitors may be coming just because it is a really popular and delicious beer in the region. 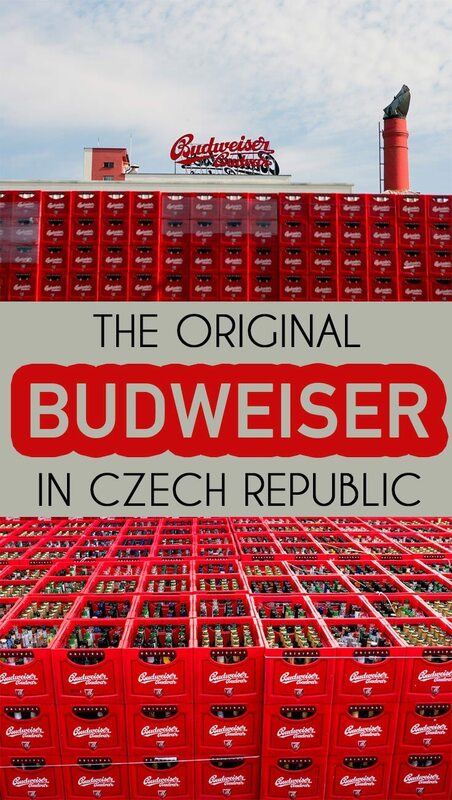 A guide will take you through the running factory where all the Budweiser Budvar and Czechvar is made in the world. We were shown antique machinery used to make Budweiser before and the modern machinery used today to make this popular beverage. What was fascinating to see was how small this place seemed considering how much beer they are producing on a daily basis. We were told that the Czech population has the highest beer drinking per capita with the average person drinking 142 liters (or about 37 gallons) of beer per year. This average includes the entire population, that means children and pregnant women who can’t drink beer are included in the average. So beer drinking is no joke here. If you talk to a local they will most likely tell you how they believe beer is actually good for your health and when you go to a restaurant it is actually cheaper to buy beer than it is to buy water or coffee! Back to the tour, as we were approaching the brewhouse we could smell the malt in the air. It smelled rather pleasant actually like someone was making a really good rye bread. Inside it was really warm like a sauna and we started to sweat as our friendly guide explained the process in the giant copper tanks. 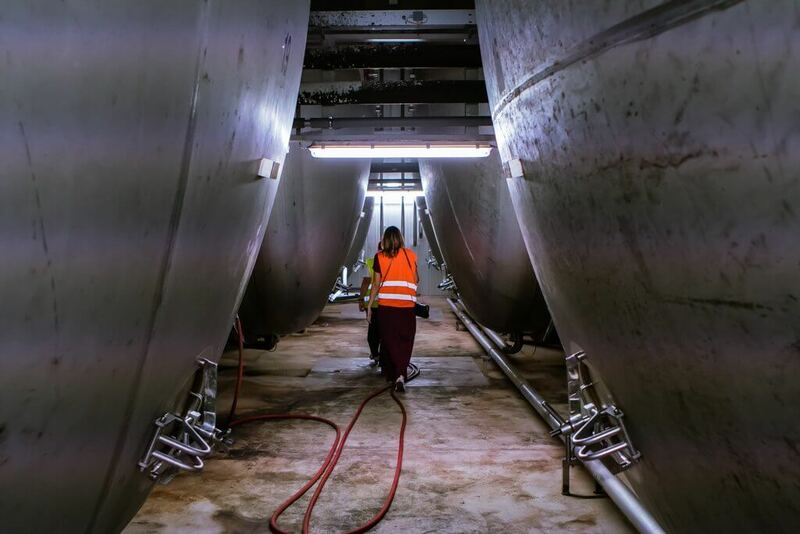 We quickly passed by the giant vertical fermentation tanks on our way to the building that contained the enormous tanks where the brew matures. Opposite of the brewhouse, the building with the maturing tanks was cold and smelled sour. This is where we would get a small sample of the fresh beer that is not pasteurized. This is considered the freshest beer experience you can have. Breweries are unable to sell beer that is unpasteurized because it’s shelf life is so low, less than 10 days, which makes it hard to distribute and resell as it will go bad quickly. We also were informed that 6-8 degree Celsius (42-46 degrees Fahrenheit) is the optimal drinking temperature of the beer. Also, that in Czech the beer and foam ratio is a science of its own. They prefer pouring a beer with just the right amount of foam that takes a lot of practice to master. While walking through this cold building we passed an old wooden maturing tank from the medieval times. This was actually really cool to see in person. You could see small holes in the tank that had been patched up. 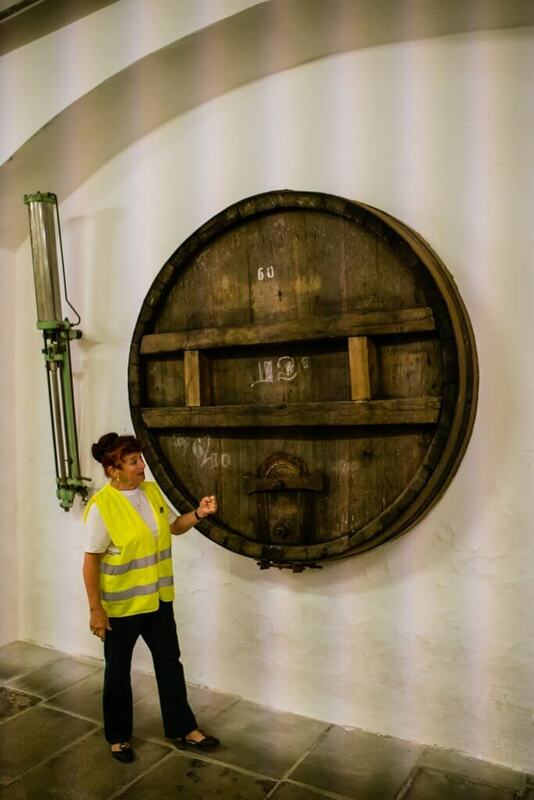 This is where the Brewers would drill holes to taste and sample their beer to find out how much more time it had or if it was ready to consume. Our last stop in the tour was the factory where the beer is bottled, bottles are cleaned and reused, packaged, and sent off to distribute. We felt like we were in an episode of How It’s Made. Before entering the factory you will see TONS of crates all on the outside of the buildings full of bottles. These are the bottles that are sent back to the factory to be reused. When you’re inside the factory you will get to see the machinery cleaning the bottles and removing labels preparing them for reuse. The machines are able to detect if the bottle has any damage in any way and those will be removed. They are able to wash 44,000 bottles per hour. Then you move on to the filling of the bottles, where the machines can fill around 40,000 bottles per hour. After is the labeling process which they are able to do at a rate of 50,000 bottles per hour. Last is the packaging where you see these clever robotic arms moving and organized crates that get lowered onto a pallet. 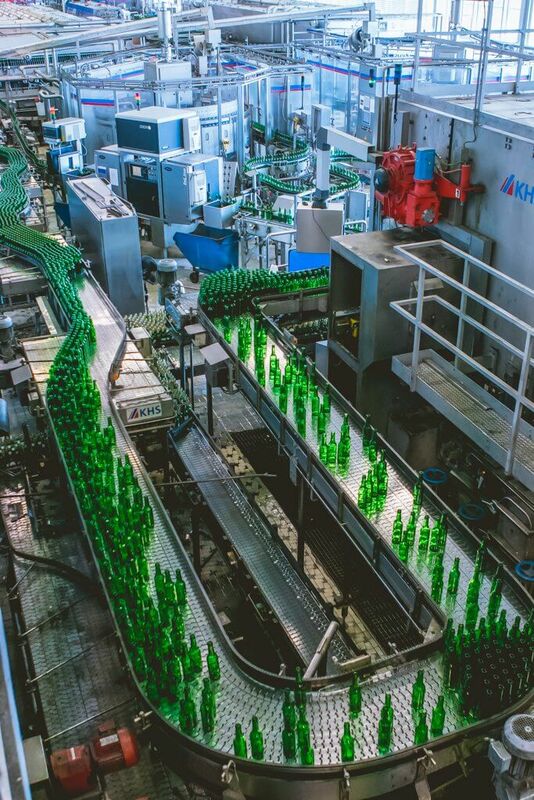 They are able to package around 45,000 bottles per hour. This entire part of the trip was mesmerizing to watch. There was an organized chaos to everything going on. It looked like a city of little bottles weaving in and out of traffic. However, before you can just stand there and watch all day the loud noise will eventually get to you and you’ll be ready to leave. After the tour, you can enjoy the interactive exhibit in a few different languages without the guide in the Budweiser visitor center. Our favorite was the very end where there was a Mission Impossible style movie where an investigator hired by the evil U.S. corporation businessman to take down the Czech Budweiser. The investigator gets a lady of the night gifted to him from his U.S. boss. He sneaks into the Czech Brewery and samples the beer where he realizes this is the purest and delicious beer in the world that dates way back in time. He exposes this information in the courtroom and wins the case for Czech. The movie was completely over the top and hilarious. Oh and the news reporter just happened to be named Kate Winslett. 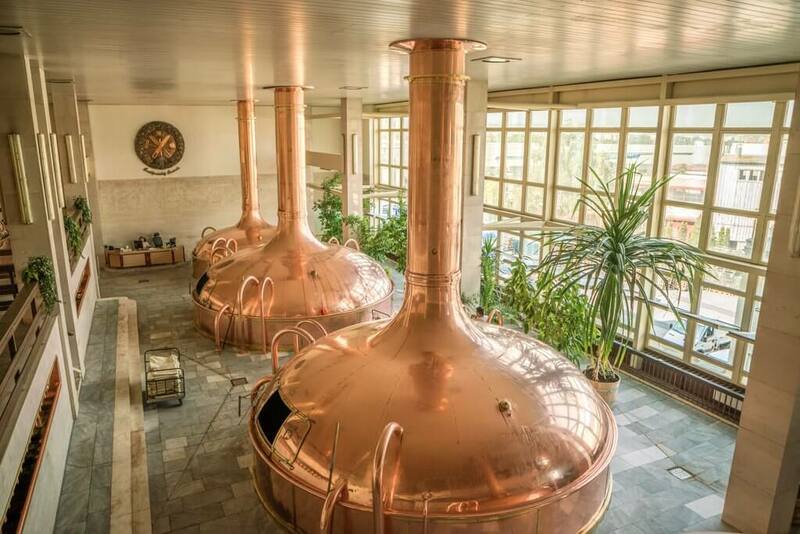 We recommend making a day trip to České Budějovice and touring the brewery as well as see some of the surrounding area. 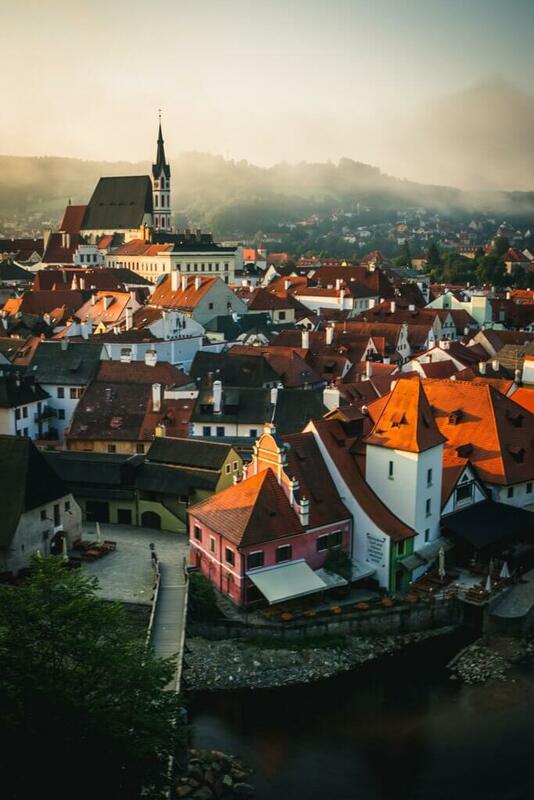 You can easily visit from Český Krumlov like we did as it is only a 30-minute drive. Try to get the morning tour at 10:30 so you have the entire day. You will need to book tickets in advance as these tours are very popular with tour buses. Afterwards, we recommend going to the city center square, Přemysl Otakar II. 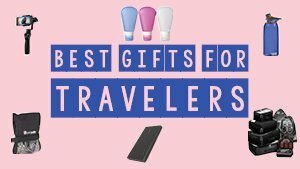 There are shops and restaurants to enjoy. We enjoyed a delicious local meal at the microbrewery Krajinska. They have daily specials, we had to use iTranslate to figure out which meals were available the day we were there. Luckily the staff speaks pretty decent English so you can always ask if you have no idea what’s going on. 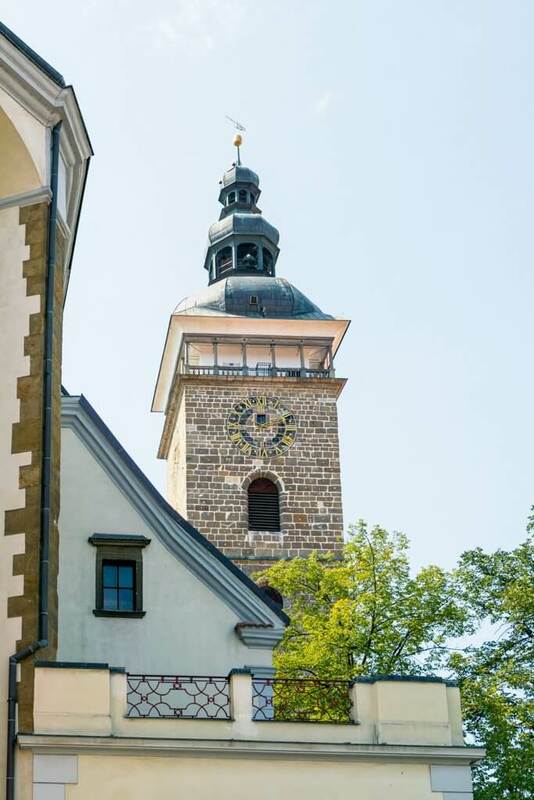 We also recommend checking out the beautiful square, here you can go up the Black Tower, or Černá věž for only 25 CZK. This is a great way to burn off some of those calories after lunch. Once you get to the top you’ll be rewarded with spectacular views. You’ll notice a beautiful white castle in the distance! 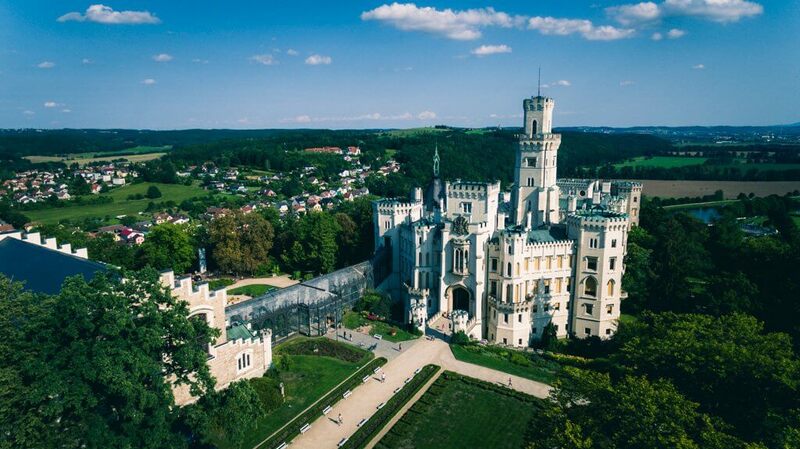 The castle is known as Hluboka n. Vltavou and is only a 20-minute drive away. We recommend visiting as it seriously feels straight out of a fairy tale and may be the most amazing castle we have ever seen in person. You’ll need to find parking on the street in the downtown area and walk the rest of the way up to the castle. The entire castle was built in the neo-gothic style and as you walk around you will notice all the amazing details to the place. Give yourself enough time to do a tour of the interior, we didn’t plan for this and regret not making it inside! Last, you can visit a UNESCO World Heritage site about another 25-30 minute drive from Hluboka n. Vltavou. Holašovice is one of the most charming small villages in seemingly the middle of nowhere and a quick stop. Walk around the small city center and enjoy the beautiful Baroque style homes. This entire place is like an open-air museum with inhabitants. We enjoyed dinner at one of the two restaurants open overlooking the small, rural town. Be sure to walk over and check out their local Stonehenge, rocks forming a Celtic stone circle in the middle of a field. Liked this post? 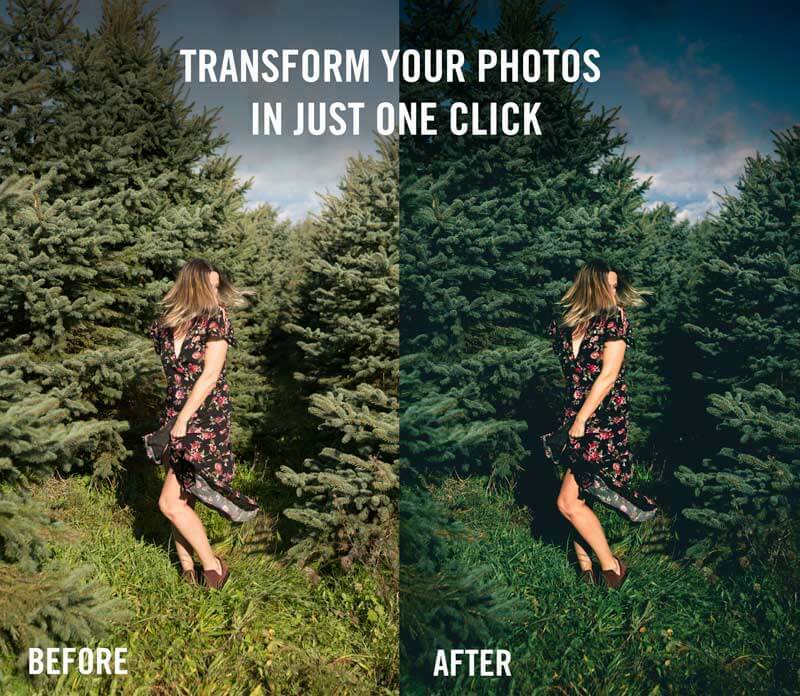 Share the love on Pinterest below!